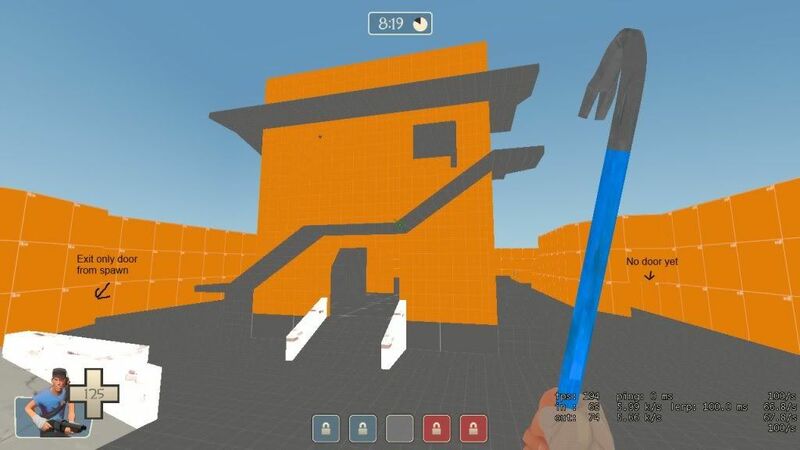 My personal goal for this map is to learn how to use Hammer properly but also to create a more balanced version of Orange_x3. As we all know the original one is just too sniper, wrangler and natasha-spam friendly which has caused us to limit snipers and bodyshots. 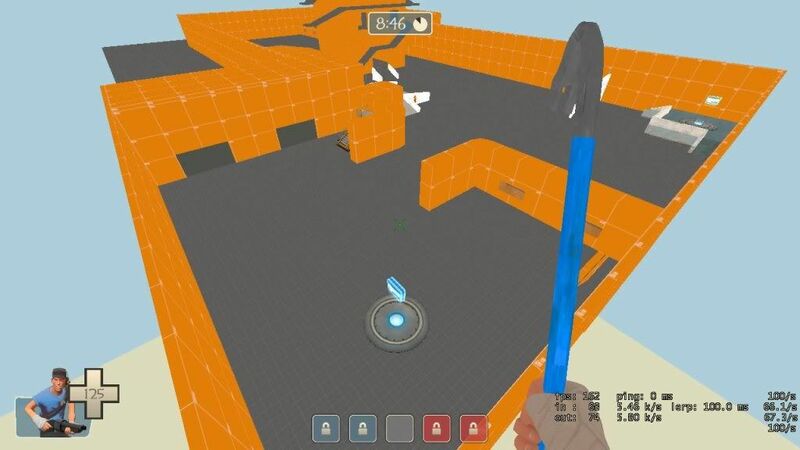 I build this map from scratch, using only the outlay and basic sizes of the original orange_x3 to guide me around. Of course I did not follow it pixel by pixel and I did added new features, like a house on CP2/CP4, spawn rooms and a new spawn exit which should make it easier to take back CP2/CP4 once captured by the enemy. -Glass is one-way to reduce spam-friendliness. 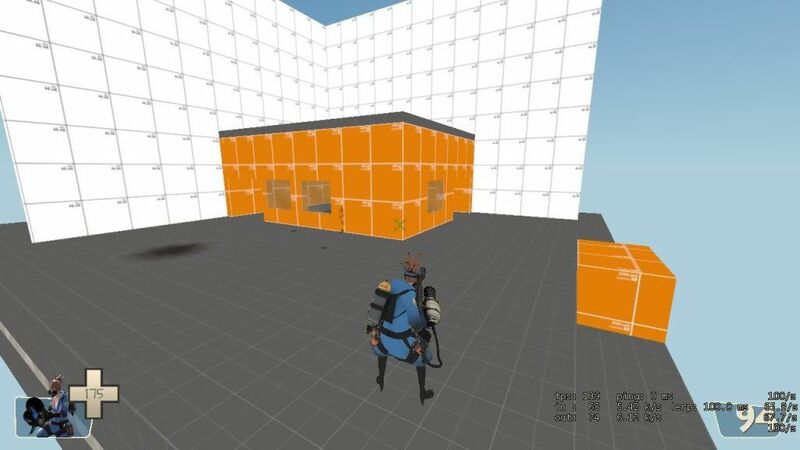 -On the left there is a tunnel/hall that leads to an exit-only door near the tower. I did this to make it easier to take back CP2. 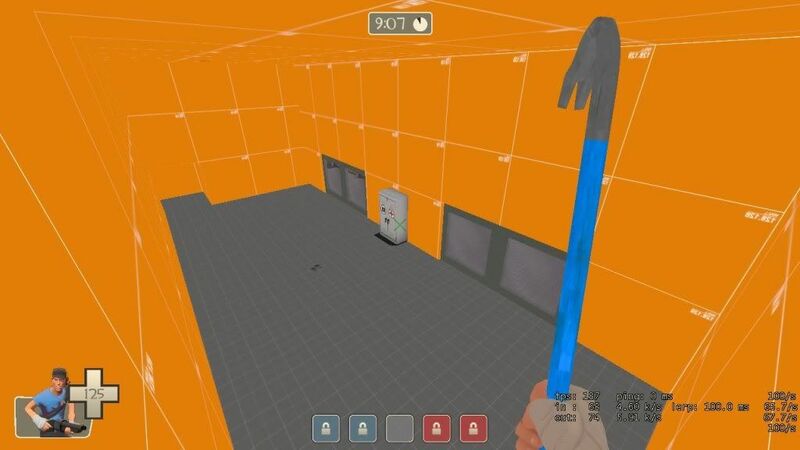 -Main spawn hall is func_respawnroom, the tunnel func_nobuild along with the first 2 meters outside the door. 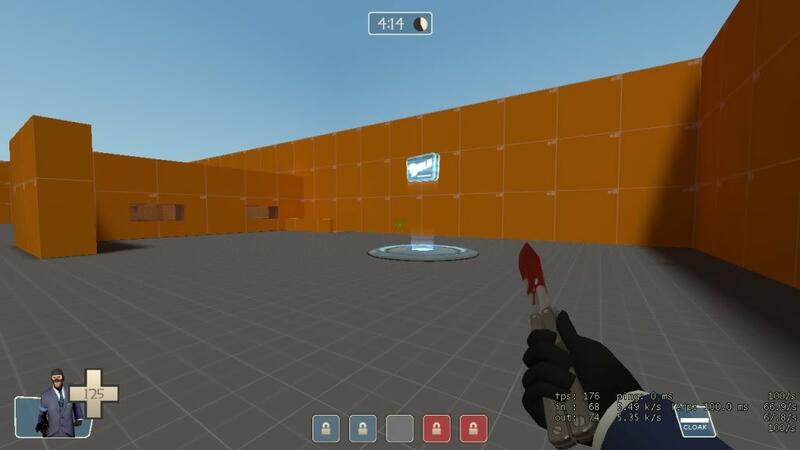 -CP1 captures fast so I added a wall to make it easier to defend it by engie/spam/camping. Glass is breakable tho to make it possible to take out a sentrynest. -Three ways to reach CP1; Rocket/Stick/FAN jump, main pad and a tunnel. 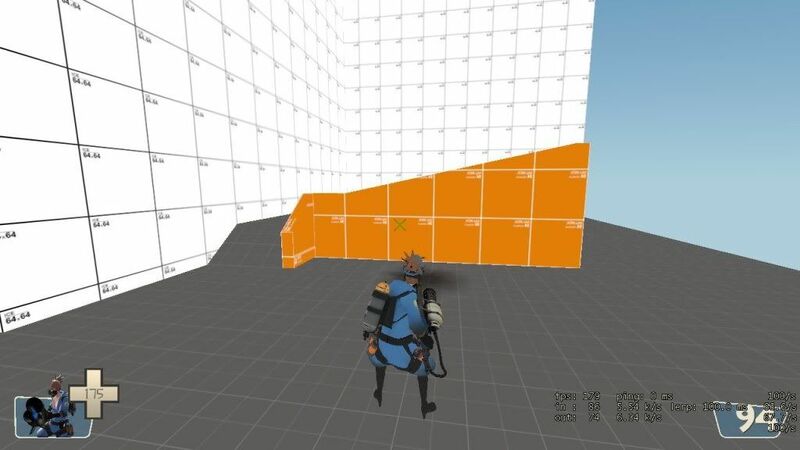 -Stairs/ramp is easier to use, regular crouch-jump fromt he rail is now enough. 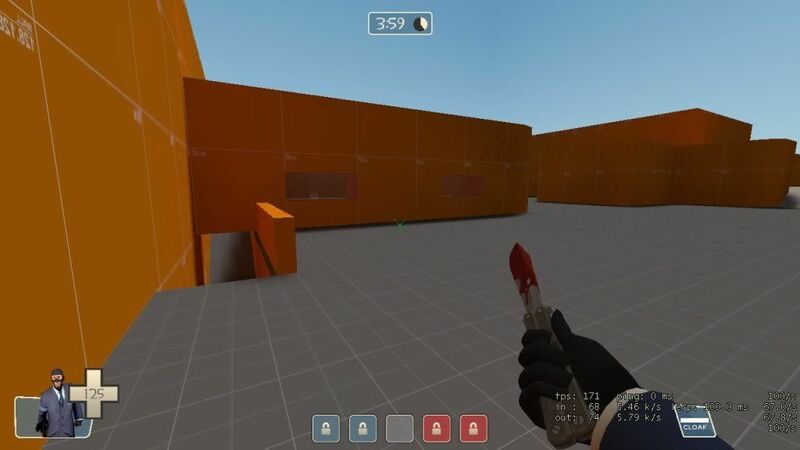 -Port from orange_x3, going to be replaced with a new design to reduce CP2 snipefest. -Medium or small Health+Ammo pack on first floor. 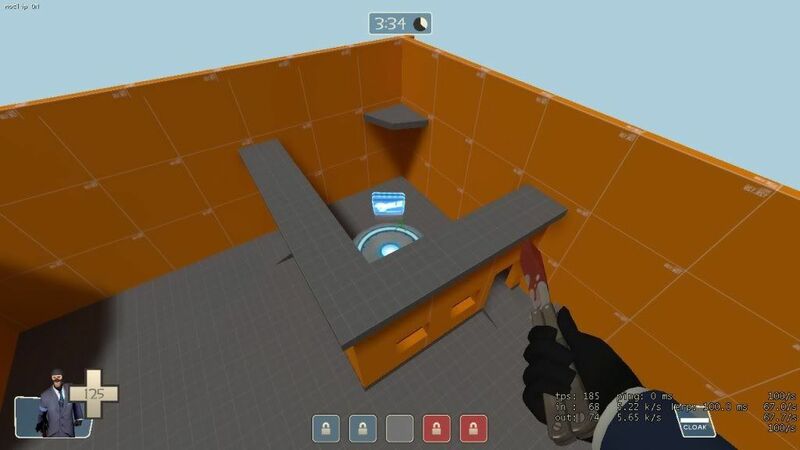 -Sloped the wall on the top floor for players who come up by ramp, allows a bigger firing range for heavy classes to reduce the effectiveness of (engie-)camping. EDIT 2: Made changes to the area in front of the tower. 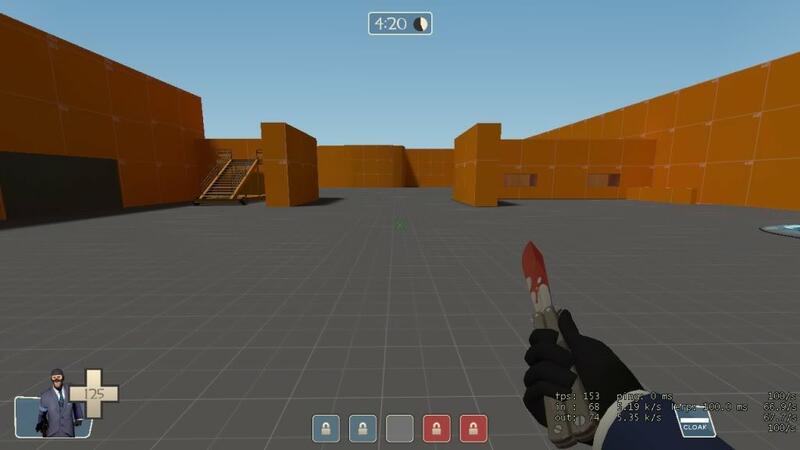 Basically both sides of the map now use the orange_x3 red side. Okay I have decided to go with the roofless building. For those wondering why I will make it roofless here's the reason. I feel that a closed building with just two ground entrances is WAY to easy to defend. I mean, insert two engineers with sentries, add a spychecker to the mix and voila; 30 minutes of pure camping. With a nearly open roof buildings can be taken out from multiple angles making it harder to camp which applies to both teams. Anyway this means all here is left to do is creating some anti-snipe things/obstructions and finishing my super special awesome secret room. Ow, and lighting if it isn't too difficult. LOOK IT'S ADAM!!! wrote: AAAAGGGHH fullbright!! Well it has been a while since I posted the first round of screenshots so allow me to post some new ones from how the map is atm. Again the map is wip and not textured yet except for some minor parts. Also I just added the the light_environment so some parts can look quite dark in these screenshots which I will of course try to fix. -Not sure about the glass in the wall at CP1, I might keep it open if CP1 is too easy to defend. -Stairs are easy to crouch jump on with the proper timing. And by timing I mean even a drunk man can do it. -Inserted the building idea I had. 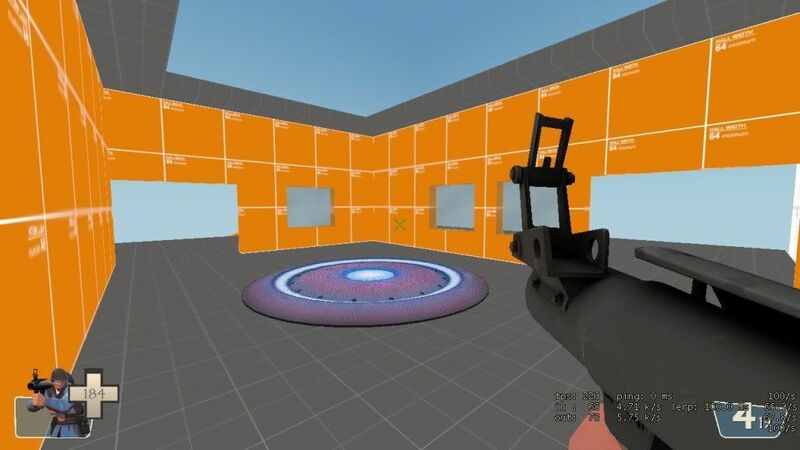 Will include a way to reduce the firing range for the sniper/wrangler. -Both sides use this outlay on the way towards the tower (orange_x3 red side). Original orange_x3 proved a WAY to open side on blu because of the lack of this. -Tower lighting will be fixed. Finally, I noticed some flaws which I will fix. No biggy, just some resizing/moving around. 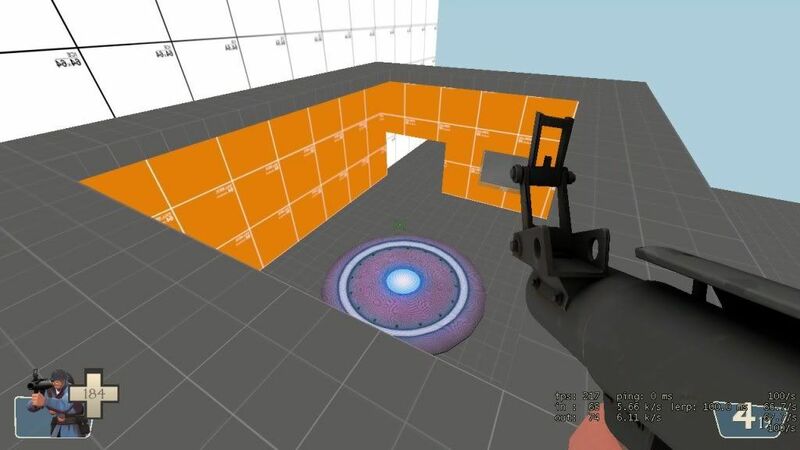 Pretty sure I will have a playable version by Wednesday depending on how easy the anti sniping methods are. Ow well, cheers and if you have some ideas feel free to post them! You can still get out if you time right or just go out with the 3rd door which leads to the side of the tower. 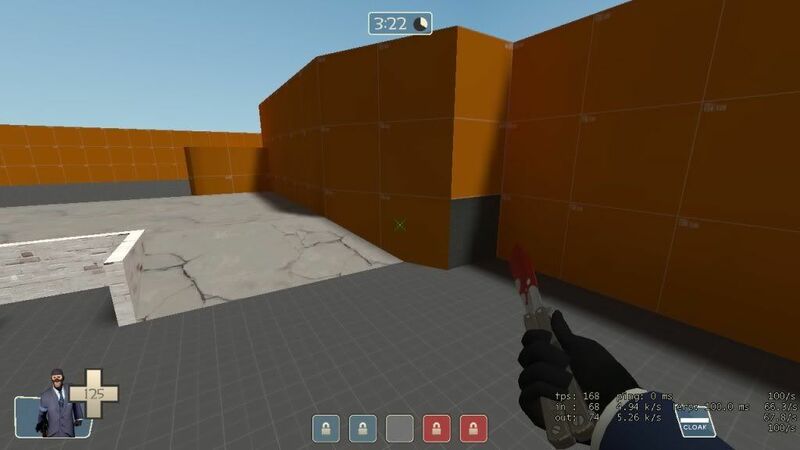 Anyway for those who want to try it out, just ask an admin to change the map on the vip server to cp_orange_x3_epps_b1 (console command: "sm_map cp_orange_x3_epps_b1"). I would appreciate every form of serious feedback so I can improve this map a bit more. The map doesn't lag me, dunno what it is till me and eraser test it out a bit more. Sgt Pepper wrote: Anyway it is about 65% finished, I still need to finish the RED side, make CP2 less sniper-friendly, add anti snipefest stuff in general (without ripping Tendo off) and add both textures and props so it doesn't look as fugly as it does atm. Also, secret room(s). Sorry Peppers, I saw spoilers, no man can resist not reading an entire thread to go straight to the spoilers. Option one: a roofless building. Option two: higher wall thingy. Anyway, any recommendations on which one I should put into the map? 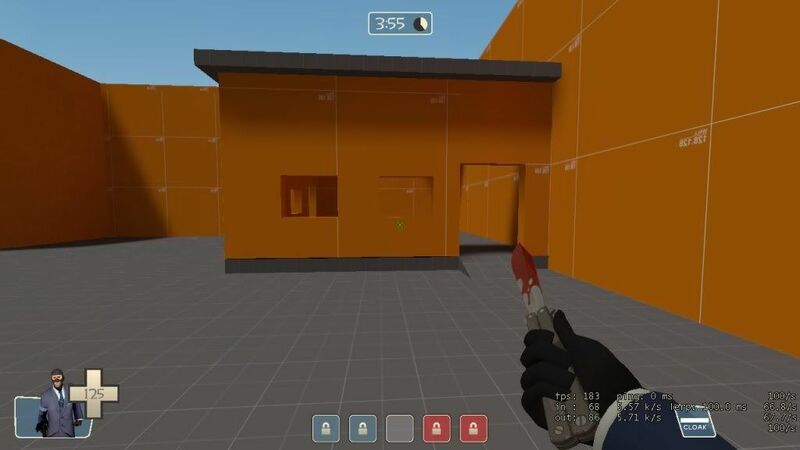 Personally I prefer the roofless building but I dont want to lose to much of the orange_x3 look. iDunno, ideas? Building is cool and original. Never seen that done, go with that. Also, add LIGHTING, please. Do you know how? or shall I link you to a tutorial? hyce777 wrote: Building is cool and original. Never seen that done, go with that. 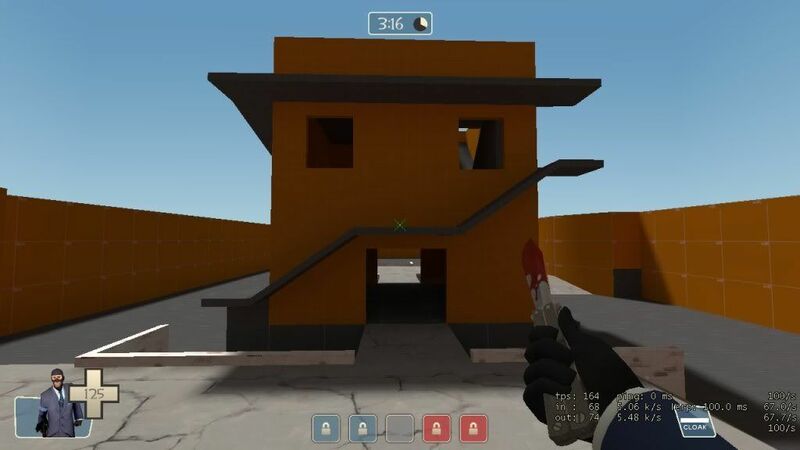 Well I was looking at my map and messing around with the textures. 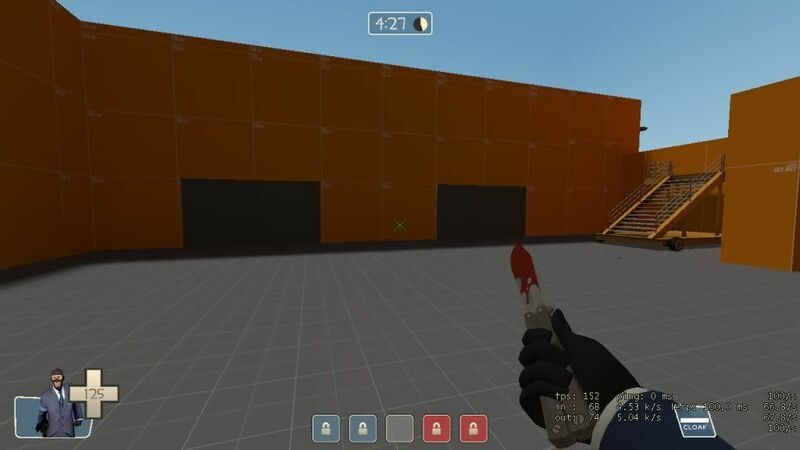 IN my opinion, I would also mess around with your textures to see what fits better. Because that look like old orange. I meant for CP2. I've never played an orange with a building there. as for lighting, a single light_environment will do it, just make it point the direction you want your sun to shine. Needs more anti sniper in middle-ish area! That is really good. Also, try and add like a backround out side of the map. So it won't look empty. Like a couple of trees, and buildings. Just so it won't look plain. And maybe use some red and blue textures. to make it more alive. But really good job. Young Greezy wrote: Needs more anti sniper in middle-ish area! Furgus wrote: That is really good. 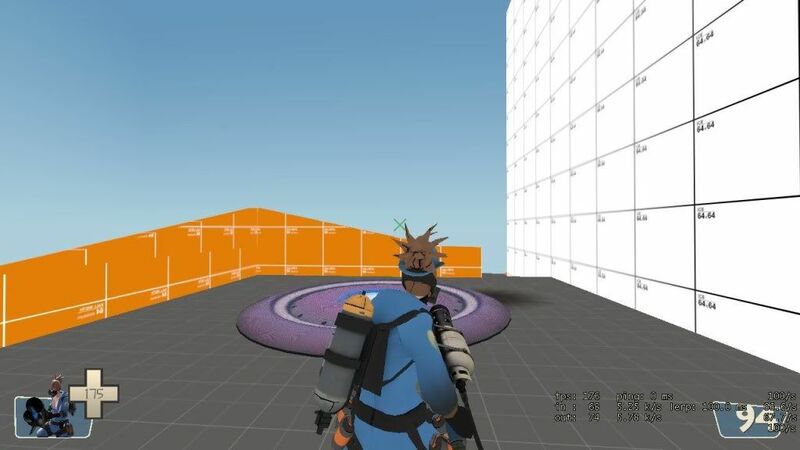 Also, try and add like a backround out side of the map. So it won't look empty. Like a couple of trees, and buildings. Just so it won't look plain. And maybe use some red and blue textures. to make it more alive. But really good job. No! Don't add scenery. I don't want my computer to lag. Well, we are not talking about to much scenery but just enough. Like I was thinking we could add the fence like the normal orange_x3 has and a couple of trees. 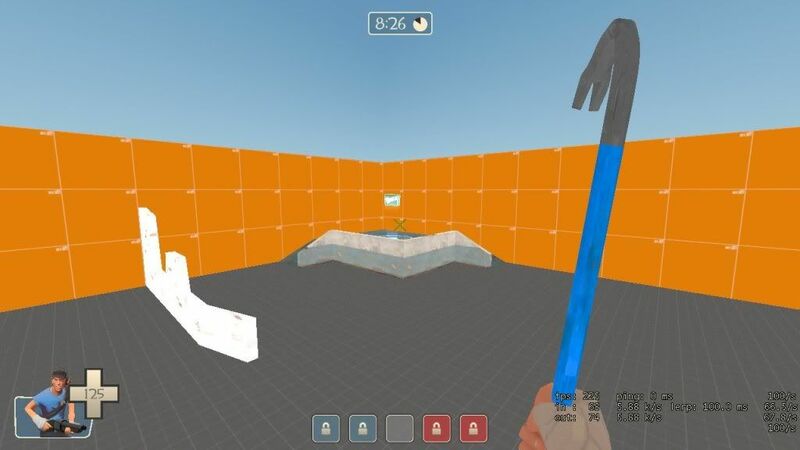 You would create a ground level behind the spawn area and add like 3 trees and a building. It would be a lot better. 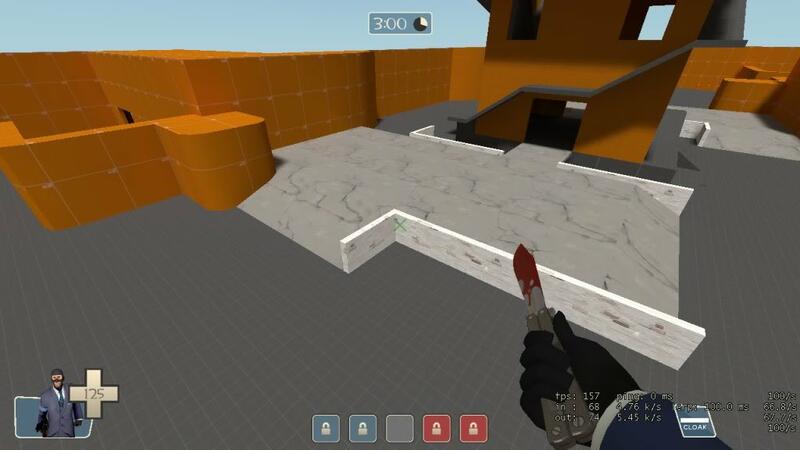 Most of the orange maps that are plain and simple are not much played in. A little scenery would make it more alive. Pepper you should look at this map. You don't want to go as far as this map's backround scenery. It's like another world outside of the map. mm for the house on ppoint 2s. could u make the windows able to be climbed in? If this happens you might have to make the house a little bigger. Maybe make the house taller and add a second layer of windows up top, and big enough to rocket jump up there. maybe even put a step there so we could stay there and shoot or something.